HOME PRODUCTS &AMP; SERVICES DIRECTORY OF SUPPLIERS LAKE SHORE CRYOTRONICS, INC. Supporting advanced scientific research, Lake Shore is a leading global innovator in measurement and control solutions. Leading researchers around the world trust Lake Shore for measurement and control solutions that drive the discovery and development of new materials for tomorrow's technologies. 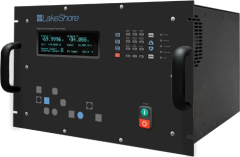 In electronics, clean energy, nanotechnology, and many other applications, Lake Shore provides the products and systems needed for precise measurements over a broad range of temperature and magnetic field conditions. Serving the needs of the research community since 1968, Lake Shore has grown its product solutions to keep pace with evolving interests in scientific exploration, from the physics lab to deep space. Through our international technical service and sales teams, we foster a culture of collaboration and innovation, and a commitment to the pursuit of science. We're proud to provide the sensors, instruments, and systems behind some of the most robust and groundbreaking science today. Lake Shore equipment has been a key part of many scientific discoveries and advancements throughout the years. From particle physics exploration at the CERN LHC accelerator to experiments in cold fusion at national labs, our sensors, instruments, and systems are used to pursue science that has the potential to change lives. Quality control is key to a manufacturer's customer satisfaction and profits. Lake Shore's fast, sensitive, calibrated instruments and sensors improve the accuracy of a number of QC measurements. Our portable and fixed configurations allow in-line product testing, plus our knowledgeable technical staff assist with the integration of our products into existing process and help users understand their test results. Many of our sensors are designed to survive radiation and excessive vibration during a space launch and will operate continuously for years. Lake Shore has more than 20 years of experience in supporting mission-critical applications. Our highly reliable, flight-qualified sensors have provided precise measurement for satellite onboard systems as well as ground testing. View More Product Announcements from Lake Shore Cryotronics, Inc.